We offer complete package of shop fitting design and installation solution particular to your exclusive project encouraging the optimum presentation of your brand in sync with the specification provided, including the color combination and product placement consistent with your brand. We, at Scaf based in Melbourne, understand your branding and promotional needs, which should within the reach and attractive to the customers as the best purchasing experience is mostly influenced by allowing customers to see and touch the products. We customize the design and install the display units and other display cabinets as per the brief and ensure that all products are properly set on their respective places, ready to welcome the customers. Every shop fit out is unique in its design, appeal and appearance driven by individual requirement of the clients. As professional shop fitter serving our clients in suburb of Australia i.e. Perth, Sydney, Victoria etc., we work on varying projects including building and reshaping shops and offices, ensuring smooth transition in the event of change of business, rebranding of shops and stores, removal of old products and placement of new products. We are one of the leading shops fitting service provider in Melbourne and have developed successful long term relationship with our valued clients. Our services can be tailored for a greater spectrum of situation including commercial offices, retail environments, public buildings, museums, restaurants and hotels. Whether you wish to install a custom made display unit, point of sale products made from Plexiglas, PVC, PETG, and HIPS like shoe stands, brochure holders, cosmetic stands, cake stands, display cabinets, sunglass stands, jewelry stands, poster holders and menu holders, we do all. We take pride on completing our projects on time and within budget. Some of the most popular shop fitting services include department stores, retail and museums, homeware, fashion stores, shopfront etc. 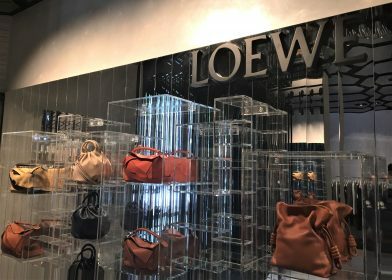 We design, create, and install all types of display units and shop fits outs required, given the specific business domain and clients’ need. Your shop fitting deserves the best outlook for standing out of the pack!